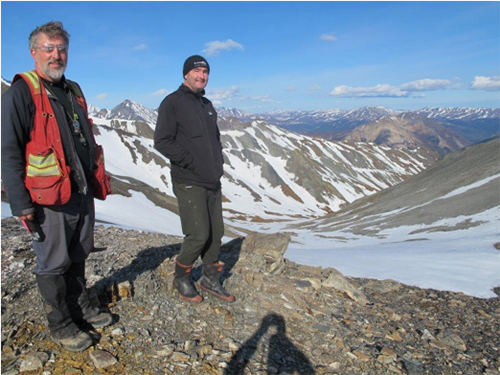 White Rock Minerals Ltd (ASX:WRM) has released an update from its zinc VMS Red Mountain project in Alaska, stating that field crews have commenced on-ground assessment of recently identified regional exploration targets. 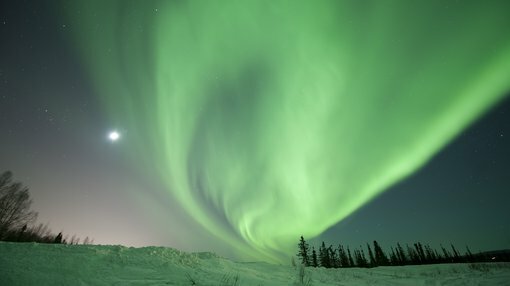 WRM identified a number of high priority VMS targets in the lead up to the 2018 field season, which are outside the known high grade zinc–silver–lead–gold VMS deposits at the Dry Creek and West Tundra prospects. These high priority VMS targets are “conductors located within zones of anomalous surface geochemistry that are indicative of proximal VMS mineralisation”. The targets were identified through an assessment undertaken by recognised global VMS expert, Dr Jim Franklin of existing surface geochemical data combined with a detailed interpretation of existing EM and magnetics surveys by Condor Consulting. Franklin and Condor Consulting were able to use the known deposits at Dry Creek and West Tundra Flats to calibrate their assessment of the regional data, with the resulting assessment indicating that the Dry Creek West, ReRun, West Tundra, Rod, Smog and Glacier target areas are highly prospective for additional VMS deposits. Further, a number of high priority conductors were identified as having the potential of being caused by massive sulphide mineralisation. According to the assessment, the highest priority conductors are located within the geochemical target areas, some of which are “coincident with strong base metal and precious metal anomalies from historic sampling”. WRM’s field crews have now commenced their field assessment at the highest priority targets with the intention of undertaking mapping and surface sampling prior to selecting targets for drill testing throughout the 2018 campaign. Field crews have already been able to assess a number of conductivity targets, as well as the associated proximal soil geochemical anomalies. The next stage for WRM will be detailed mapping and sampling of prioritised prospects ahead of drill testing. The company anticipates a handheld XRF will be utilised to rapidly validate the location and tenor of historic surface zinc, lead, silver and copper anomalism prior to locating drill holes to test the new targets, without the need for samples to be submitted to the laboratory and subsequent long lead time to surface geochemistry results. 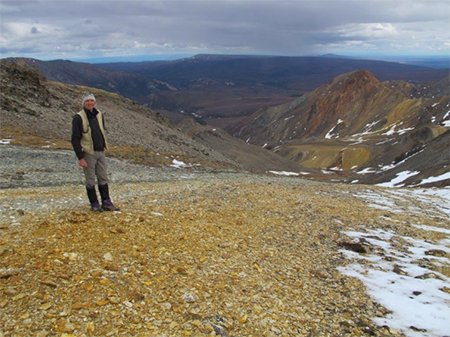 The Company’s Exploration Manager at Dry Creek West looking west along strike within the footwall alteration zone, with Red Mountain in the background. Field reconnaissance team at ReRun prospect.